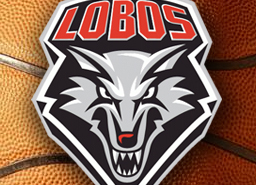 MWC & Lobo Basketball on DIRECTV and Root Sports. Cheer on your Lobos on ROOT Sports and DIRECTV! 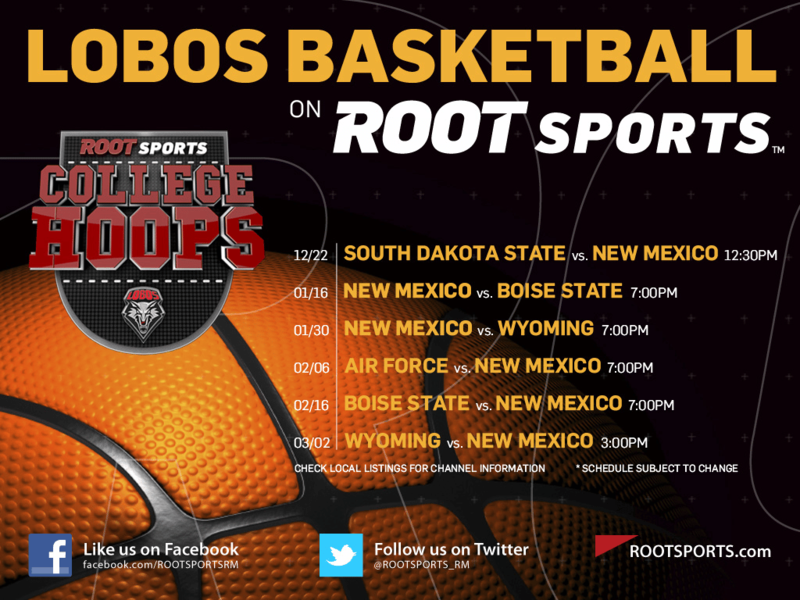 ROOT Sports will be broadcasting 14 Mountain West Conference Men’s Basketball Games, including 9 UNM Lobos games. Are you ready for some Mountain West Basketball? Nov. 25 Portland at New Mexico 6 p.m.
Nov. 28 Mercer at New Mexico 7 p.m.
Dec. 1 Colorado at Wyoming 8 p.m.
Dec. 22 South Dakota State at New Mexico 1 p.m.
Jan. 9 Boise State at Wyoming 8 p.m.
Jan. 16 New Mexico at Boise State 7 p.m.
Jan. 26 Air Force at Wyoming 8 p.m.
Jan. 30 New Mexico at Wyoming 7 p.m.
Feb. 6 Air Force at New Mexico 7 p.m.
Feb. 16 Boise State at New Mexico 7 p.m.
March 2 Wyoming at New Mexico 3 p.m.
March 6 Colorado State at Wyoming 8 p.m. Here is the calendar for the Lobo Games!